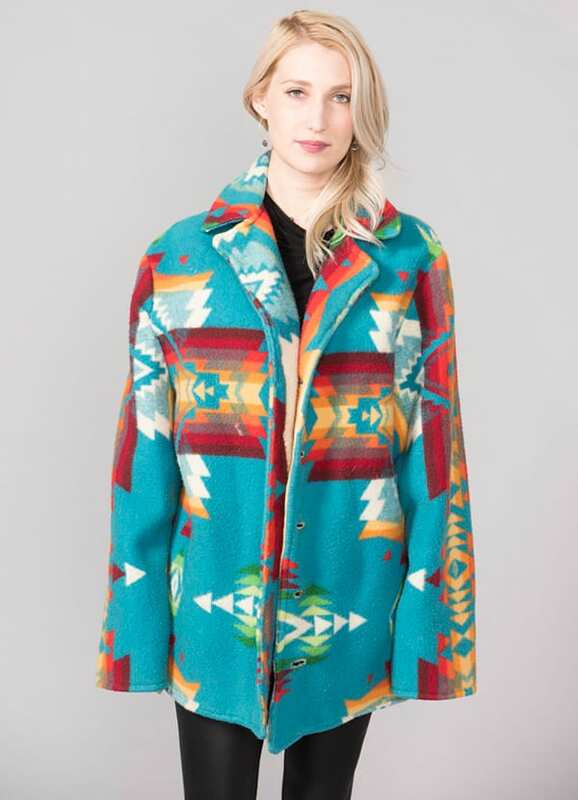 Navajo printed wool coats are the perfect addition to any wardrobe. 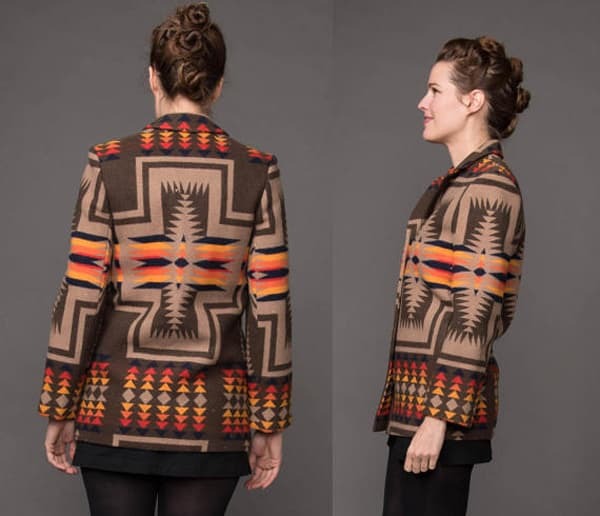 Wool coats with Navajo print are perfect for chilly fall and winter days. Turn to flea markets, thrift stores, and Etsy to find the perfect jacket that looks good on you. 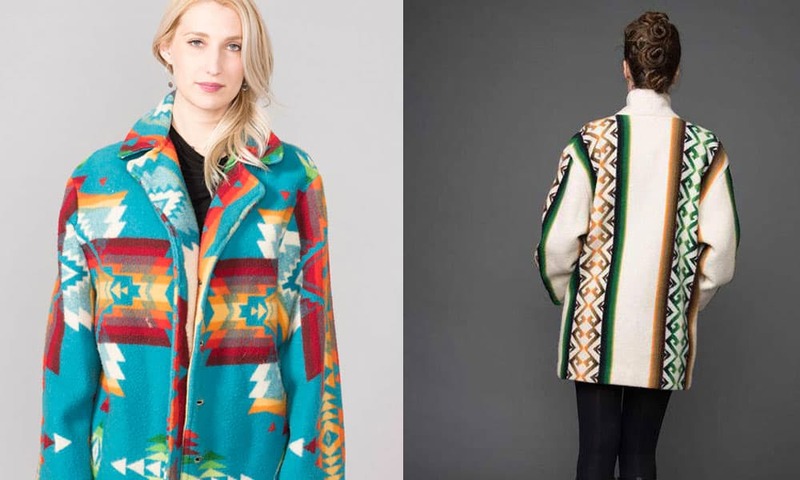 Pendleton Turquoise Blanket Coat, $295; Etsy.com. 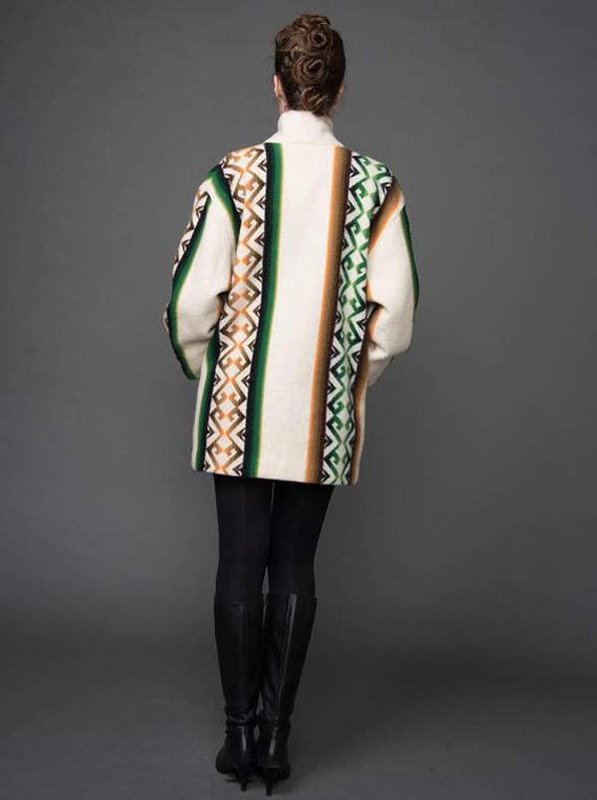 Pendleton Striped Blanket Coat, $495; Etsy.com. 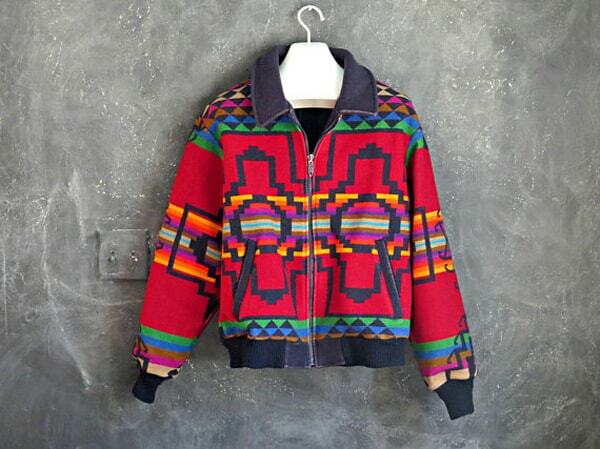 80’s Pendleton Blanket Jacket, $250; Etsy.com. 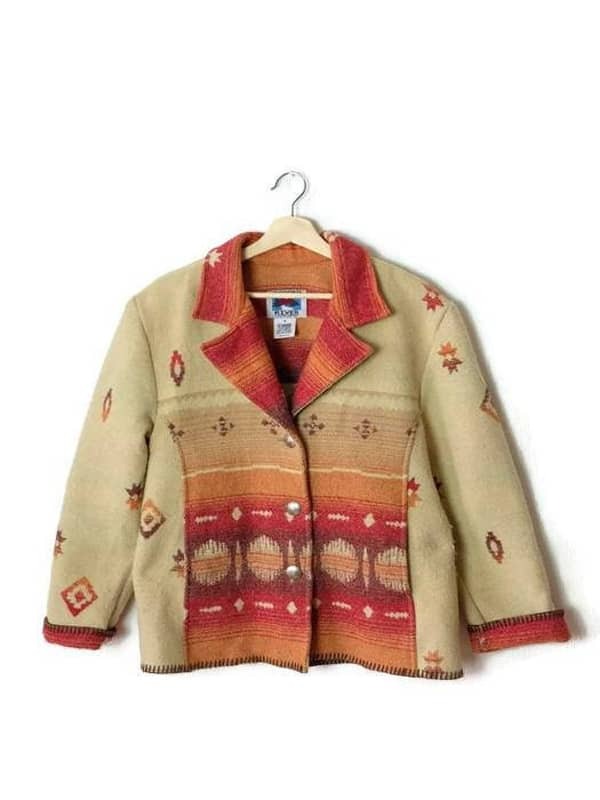 Pendleton Sunset Blanket Coat, $325; Etsy.com. Vintage Red and Orange Wool Jacket, $30; Etsy.com. Stay warm this season and start hunting for the perfect vintage wool coat. It will remain timeless and on trend for years to come. A good place to start looking is in your parent’s closet…you never know if mom is holding out on you!